knitters = angry mob | Because we are numerous and have pointy sticks. 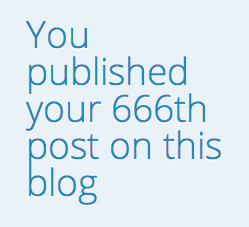 So I accidentally shut myself out of this blog for, like four years, because I’m not great at the internet. I just now figured out how to get back in! Posting shall resume soon! Stay tuned! I can talk about this now, because the recipient of this piece has received it, and it’s no longer a secret. 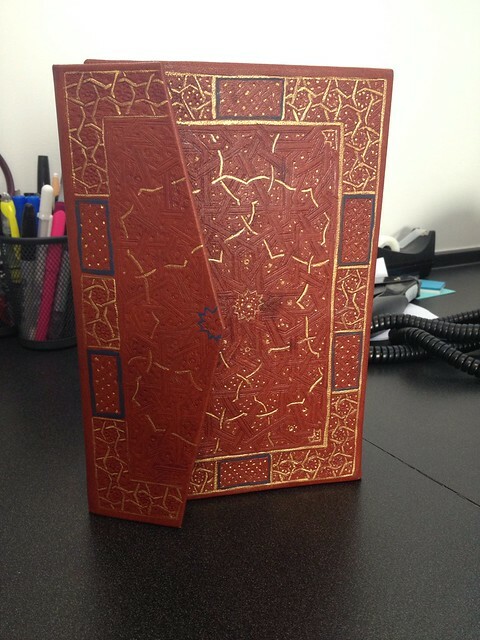 It is not, however, a secret that I bind Islamic-style books. 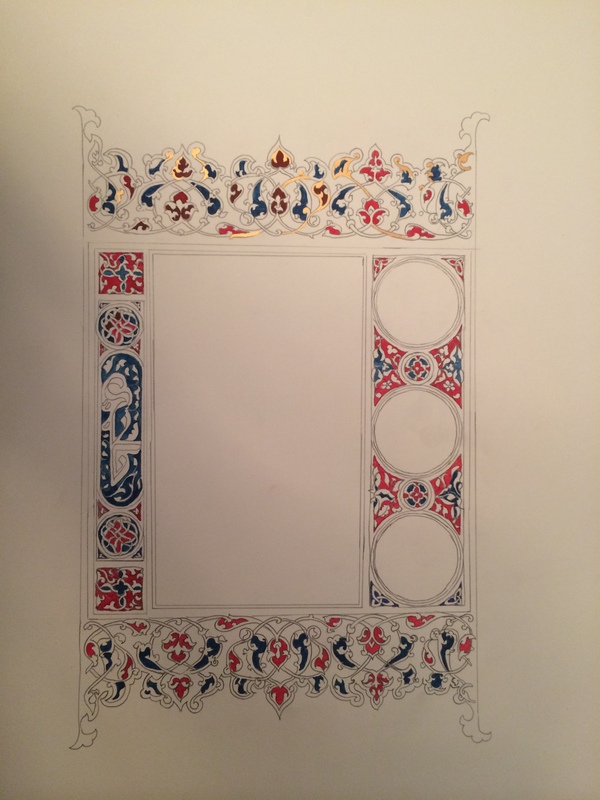 One of the sad things about this is that I have neither the time nor the skill to create lovely interiors for my books, which would make them spectacular completed pieces. I don’t calligraph at all. I do paint, and I’ve been practicing at that, with the idea in mind that I could do a single frontispiece for a book and that would be something, at least. 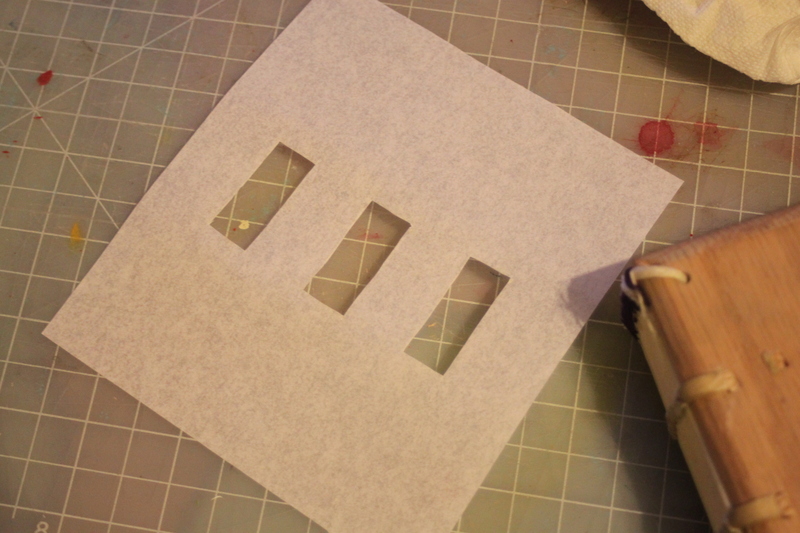 So I’ve been doodling in my sketchbooks, and making small test bits. 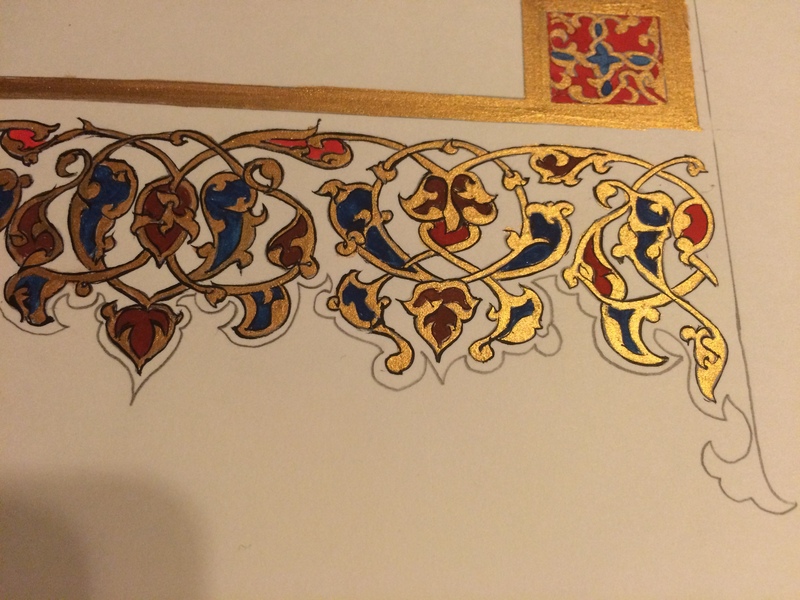 About a month ago, a friend asked me to create a special scroll to commemorate another friend receiving his court barony, after stepping down as baron of our local SCA group. So I thought, hot dog! 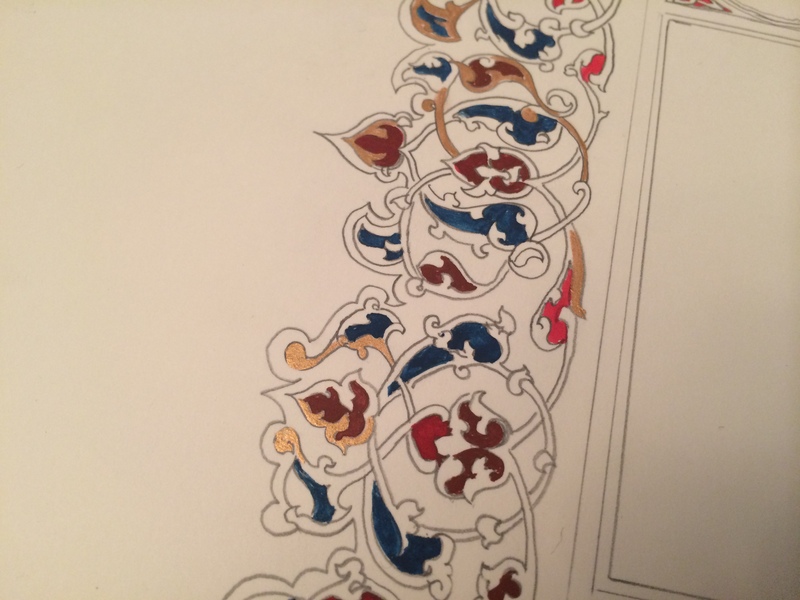 It’s a perfect opportunity for me to flex my illumination muscles (weird) and make a real whole scroll! 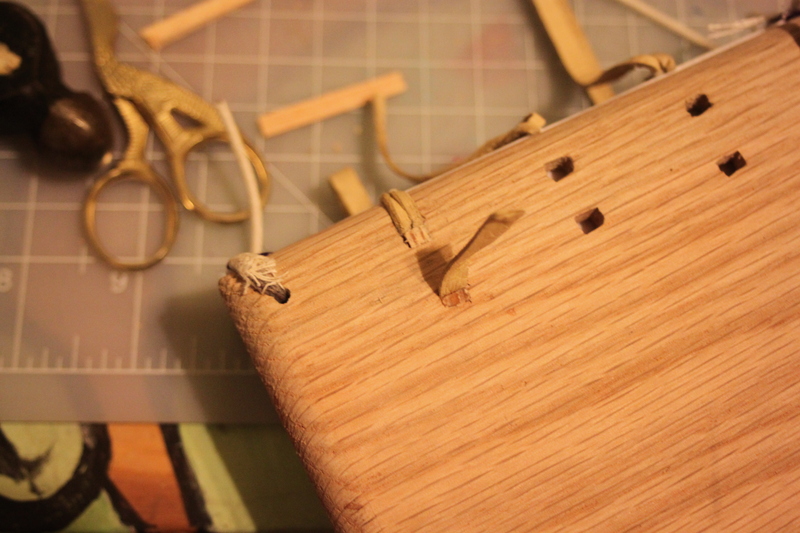 I spent the next two weeks (actually, probably more than that) deciding what my first project should be. Not too fancy, since I’m newish, but not too plain, because a court barony is kind of a big deal. 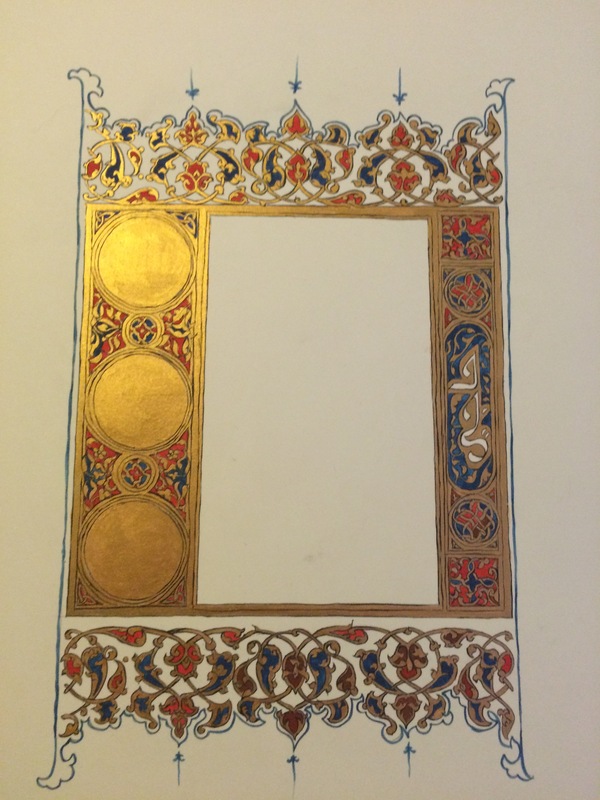 It’s an illuminated page from a book, and it dates from 1335, according to the LACMA accession info. It’s Ottoman. Someone who reads Arabic could probably tell me what the text says, but I don’t, and I modified it to fit an SCA context. I do know that it’s from a Quran, so that’s something. 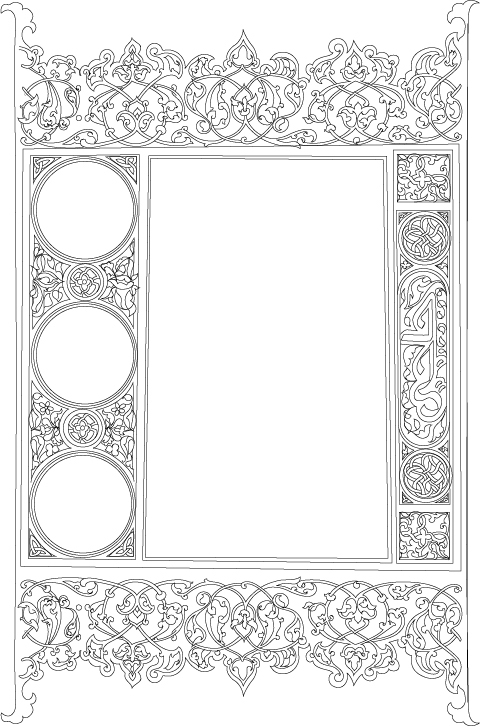 I turned it sideways and added a bit to the bottom so that it would be more scroll-like, and there would be space for seals. This actually took me the longest, since it involved a lot of detailed tracing work. 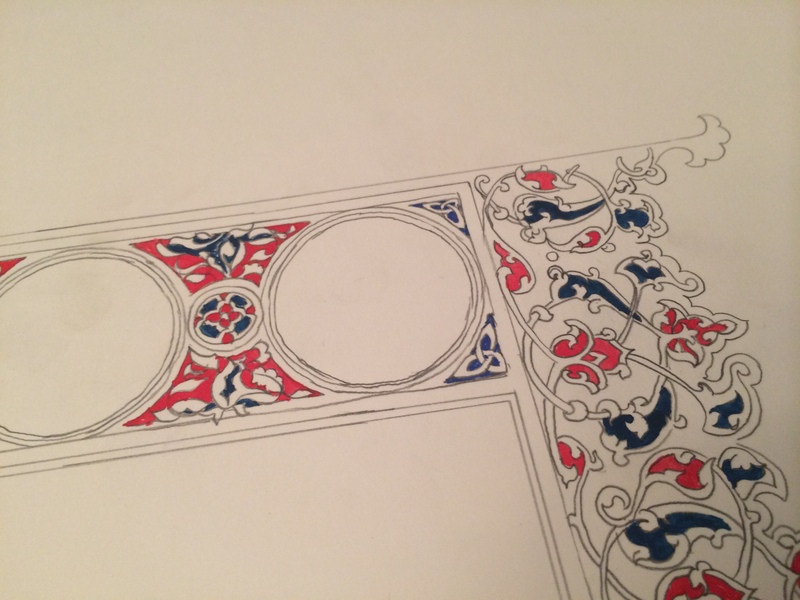 Then came tracing the design onto the bristol board so I could paint it. I had thought to use actual burnished paper, but that stuff is expensive and I couldn’t find a supplier who could ship in time, so I used basic bristol. The calligrapher said it was easiest for her to work on that, too. 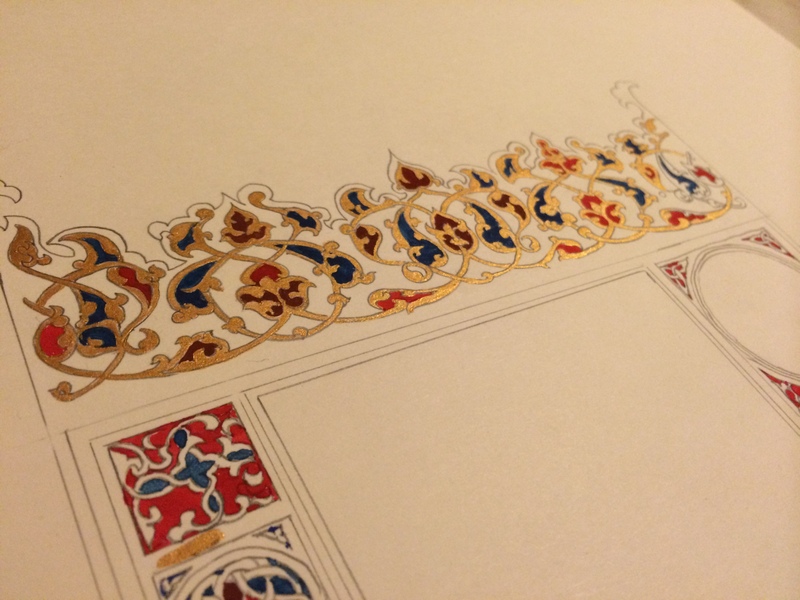 I had been told maybe to use pergamentata, since it’s close to parchment and that’s fancy, but parchment wasn’t the original substrate used in the example, so bristol it is! All done and ready for gold! In truth, I should have used shell gold, not the gouache I chose for this, but I didn’t want to challenge myself too much right out of the gate. And I waited too long to have it shipped. I can always up my game later! Nobody’s first try is perfect, least of all mine. 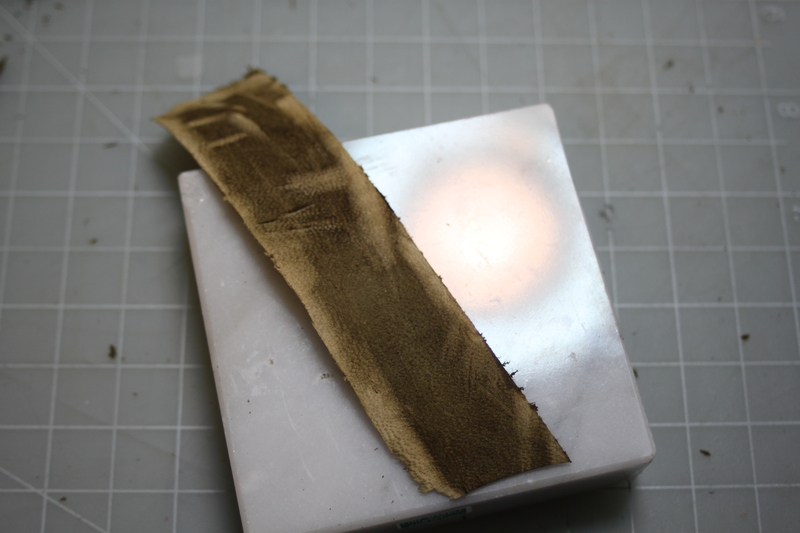 Then after that, since my gold was a little chunky in places and the original scroll totally did the thing, I outlined it all in black, using a little brush I made by cutting most of the bristles off a regular small brush. I tried using pen to outline things and i really didn’t like how it looked. I’m happy I chose this route. 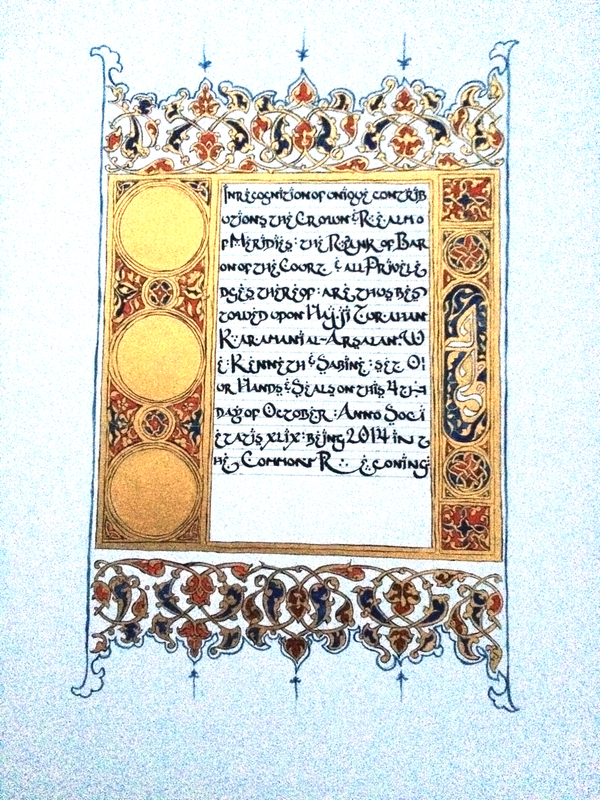 And finally, all done, and ready for calligraphy! Thankfully, all the smudges I made when I dragged my hand through paint erased away, which is an added bonus of period-style lamp black paints. You know, the kind you mix with gum arabic and water and mull on a glass plate? Yeah. I feel fancy. I got them soooo smooth, it’s not even funny. 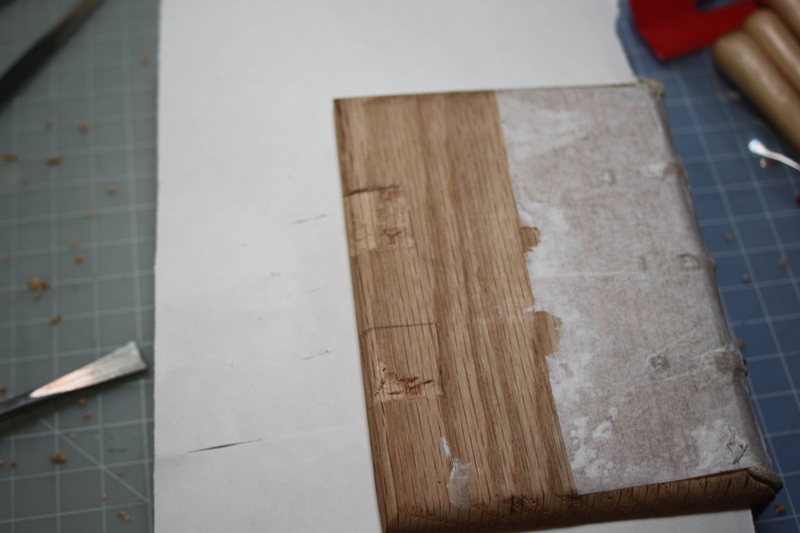 Added tip: bookbinding micro-lifters work great as paint mixers. (I took an incredibly crappy photo of this. I will attempt to take another, better-lit, non-iPhone photo later. So there we go! Fittingly, the recipient gave me the first scroll he illuminated, and he gets the first scroll I illuminated. It’s a happy trade. And now I’m all fired up to make the next one. Hooray, scrolls! 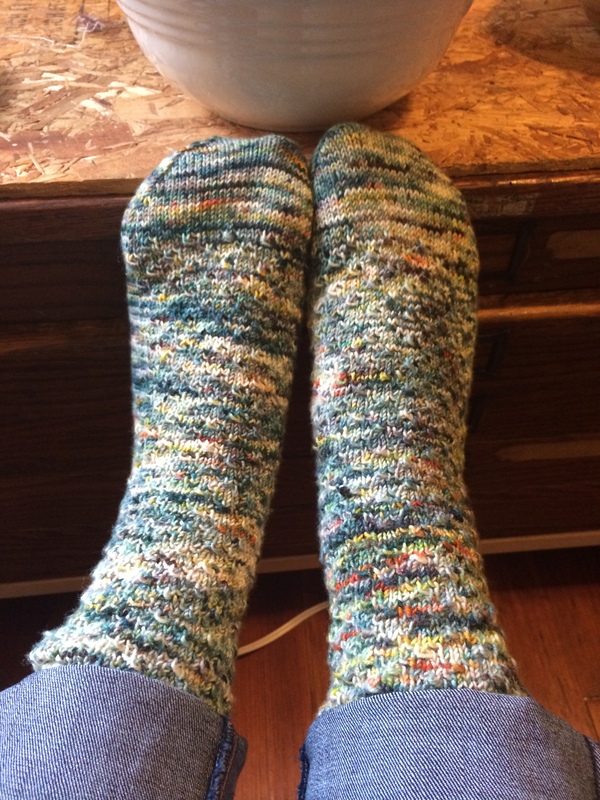 The pattern is Wollmeise Socks from the Loopy Ewe, and the yarn is from Creatively Dyed yarns. I forget the colorway, but it’s the superwash merino sock yarn. I have a hoard of CD yarns that I’m hanging on to for the perfect project. It looks like you can still get the yarn online? More power to you and your online shopping. 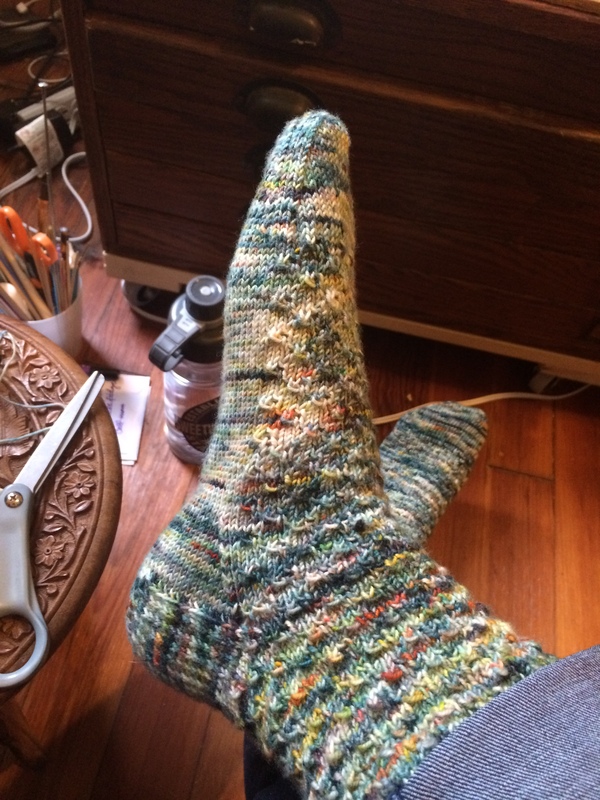 Emboldened by this victory, I’ve started on Banyan Tree Socks, also by the Loopy Ewe. I’m knitting it up in Dragonfly Fibers golden pear djinni, which appears to be made exactly for these socks. It’s lovely. I’m on row 10! Yay! So there’s that! And also SCA stuff like being elevated to the Laurel but that’s another, far longer post. I’ve been falling down the tumblr rabbit hole and I totally forgot about this thing. 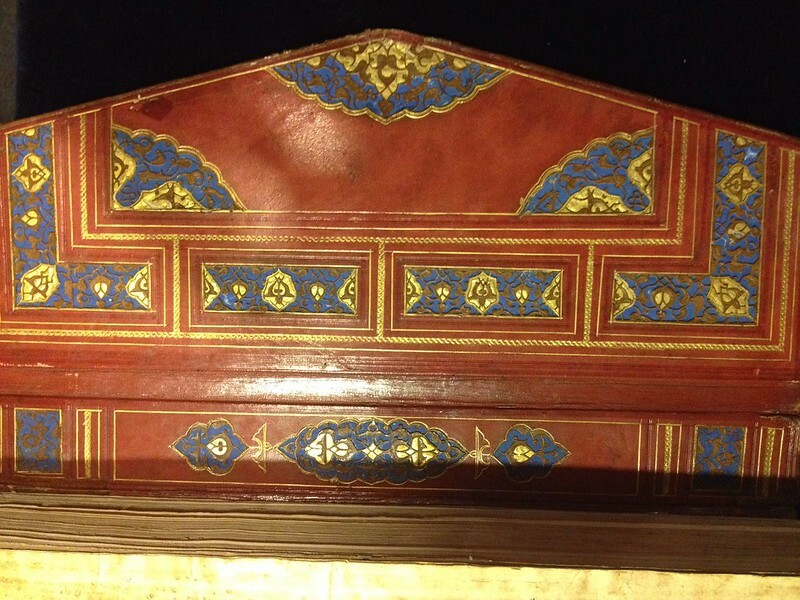 That’s a 15th-century Mamluk book binding, based on a group of books in an exhibition at the University of Chicago in the 1980s. 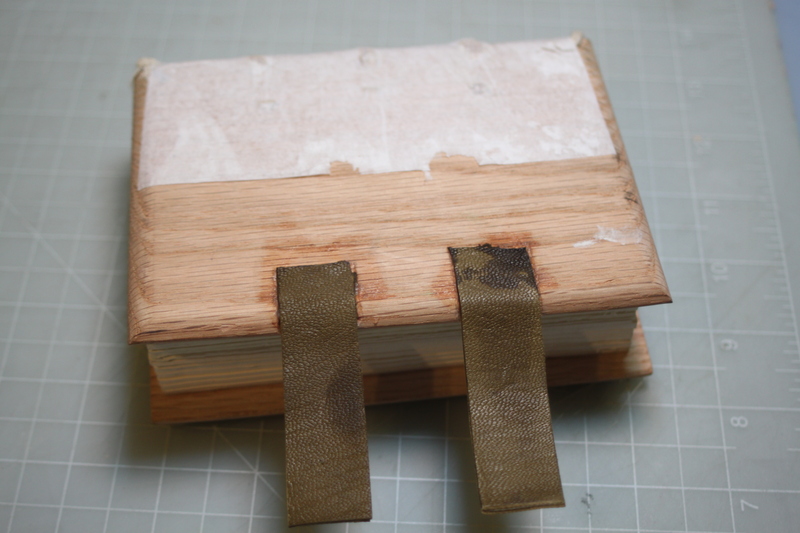 This book is more ambitious than any of the projects I’ve done so far, in that I used entirely period materials, and made the pasteboard myself. 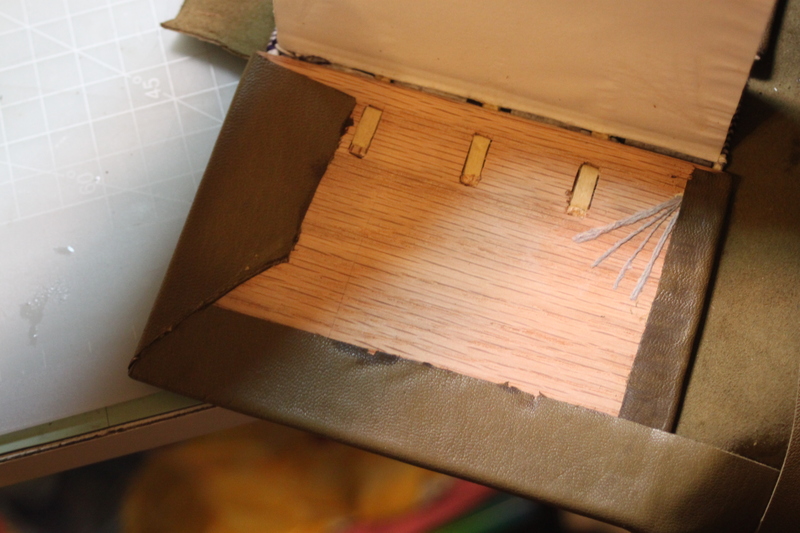 I’m getting much better at tooling, which was aided by using vegetable-tanned leather instead of the chrome-tanned I used on the last book. I still have a couple of things i need to work on, but all in all, it’s pretty close! 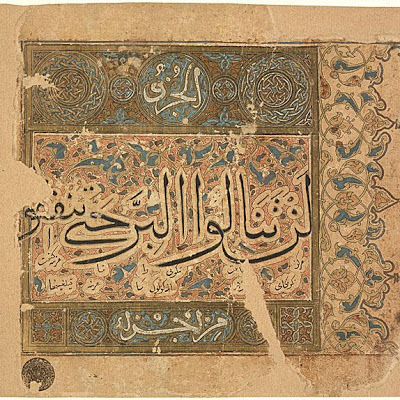 One of the most amazing things I learned was that the turn-ins on most every Mamluk book up to a certain time period (~ the 1500s) are pasted over the doublures, which is pretty much the opposite of books produced in other regions. I had a full hour “holy crap” session when I figured that out. I felt really smart. 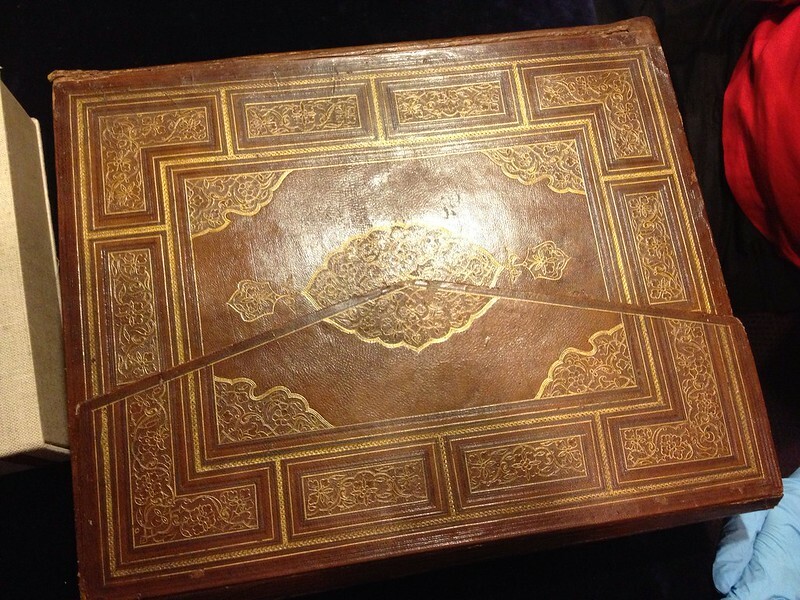 This is a Mughal book from the 16th century. 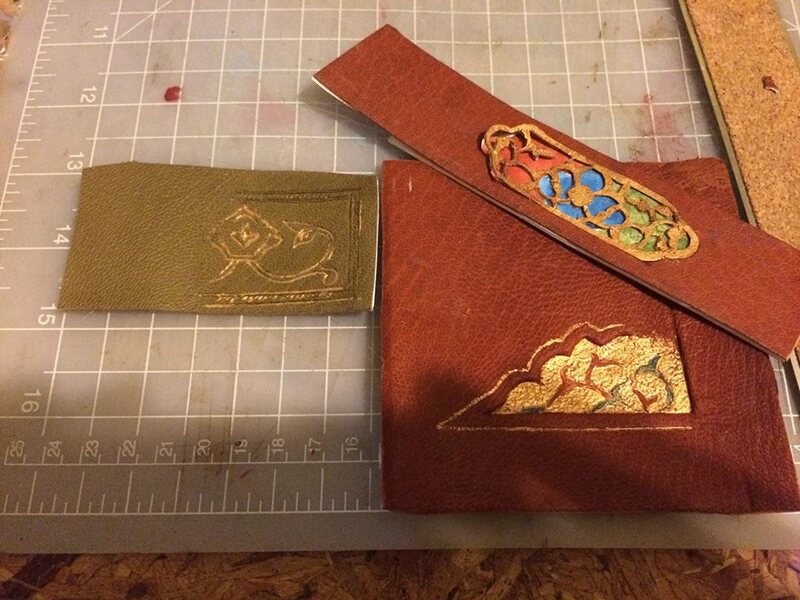 It’s very similar in design to Persian books from the same period, but the tooling techniques are rather different. 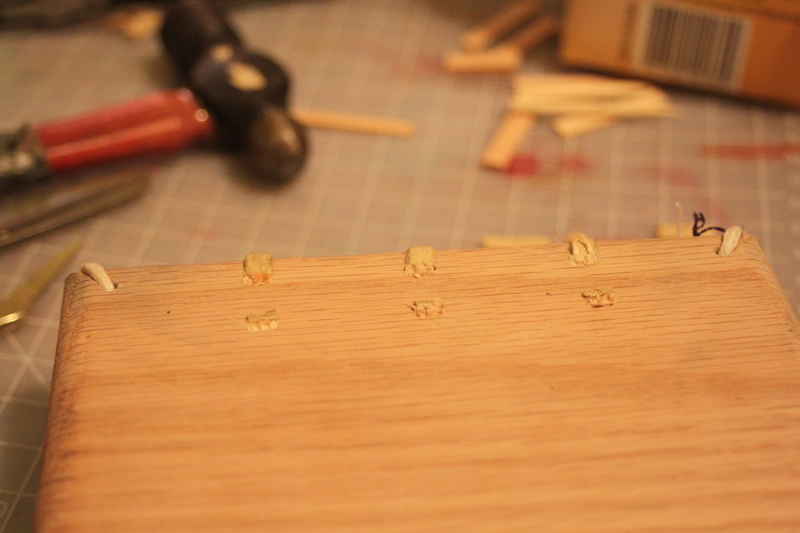 They’re entirely gilded, and almost incised. You can tell by the gloved hands that this beauty is rather large. The interiors are full of annotations (so many that the margins are totally covered). 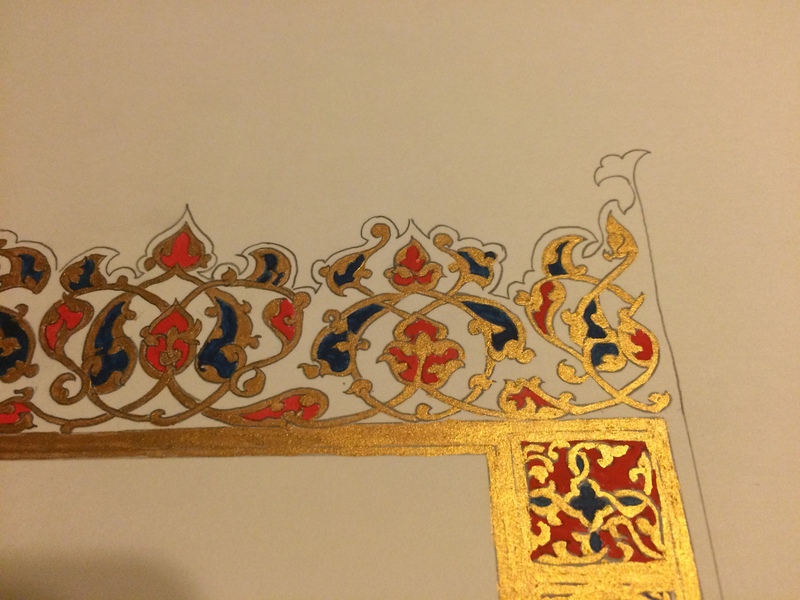 I am encouraged by the fact that each of the filigree pieces is a separate inset bit, with lapis painted pieces underneath. 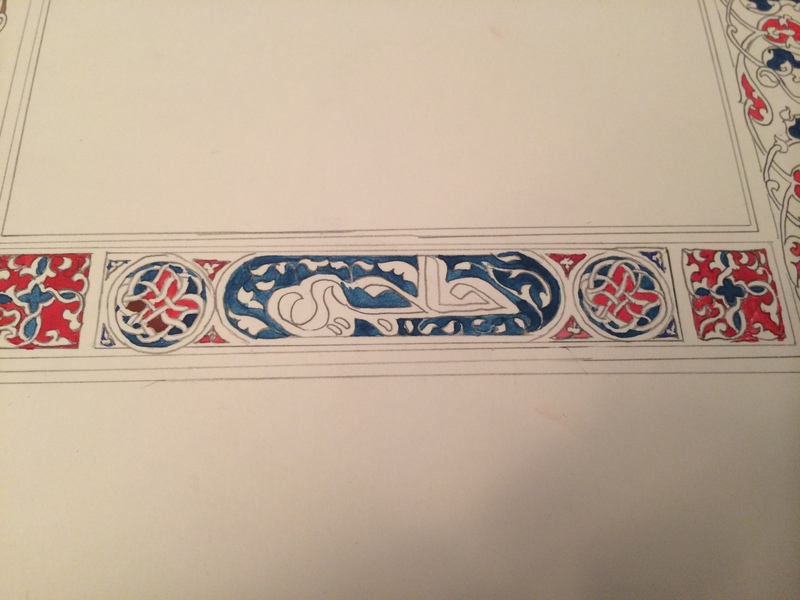 I will have to work very hard on the fineness of my painting and tooling to be able to do a reproduction of this justice. BUT JUST LOOK AT IT. How could you not? It’s amazing. 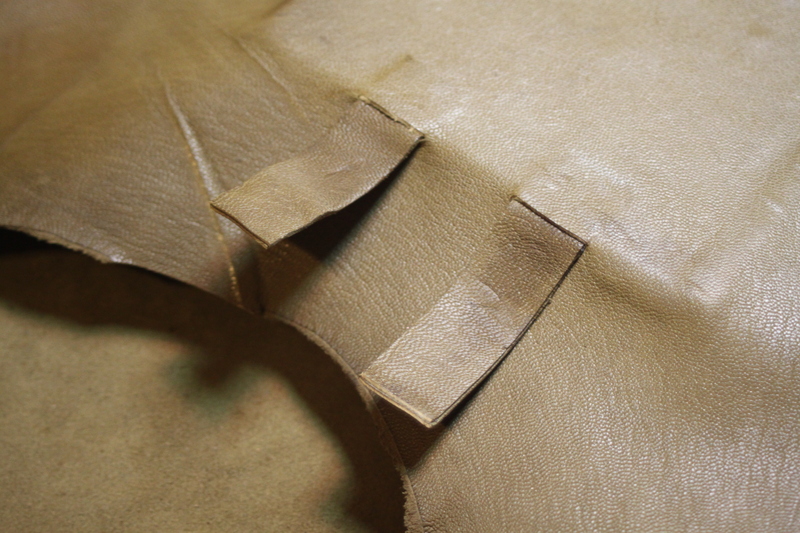 I have the leather already. I will do this thing. 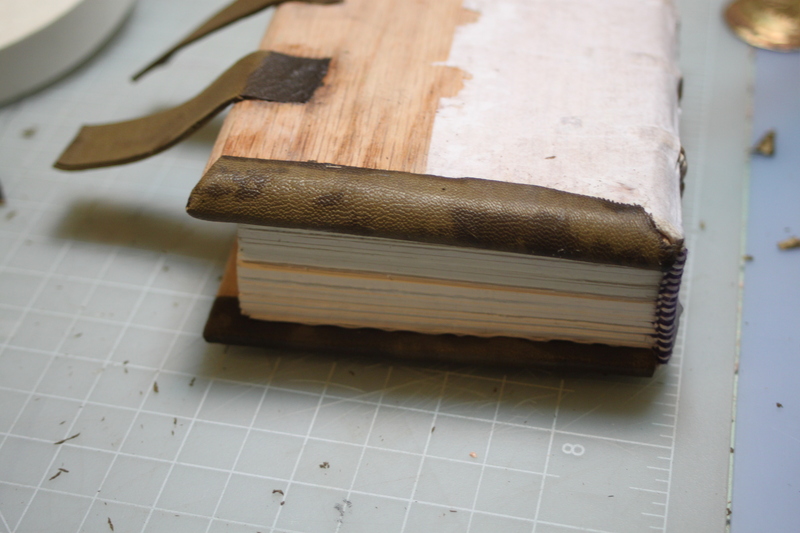 I also found a source online for directions on how to do aged and burnished paper, which is a thing I’d like to learn. 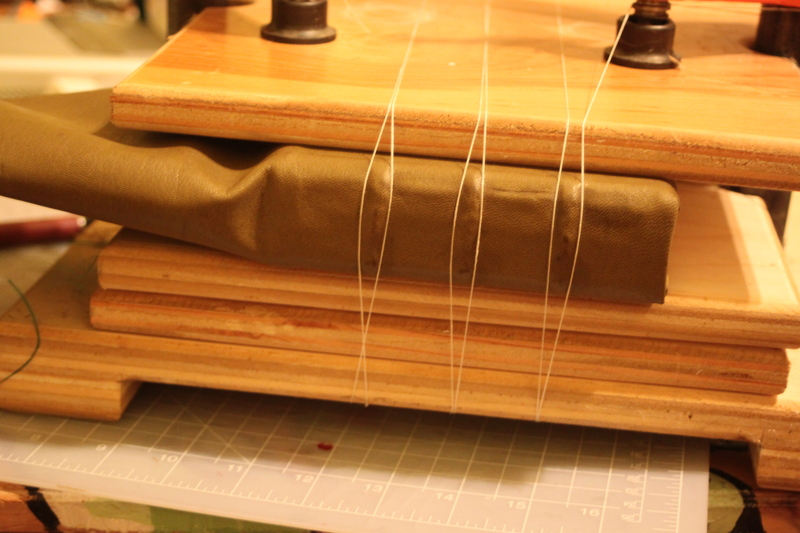 The paper I’m using is very nice cotton rag, but these books were all bound using aged and burnished paper. You can’t really buy it commercially, but now that I’ve found a source on the process, I can at least make a sheet or two (it’s a laborious process, so I have no illusions about being able to do it for an entire book). 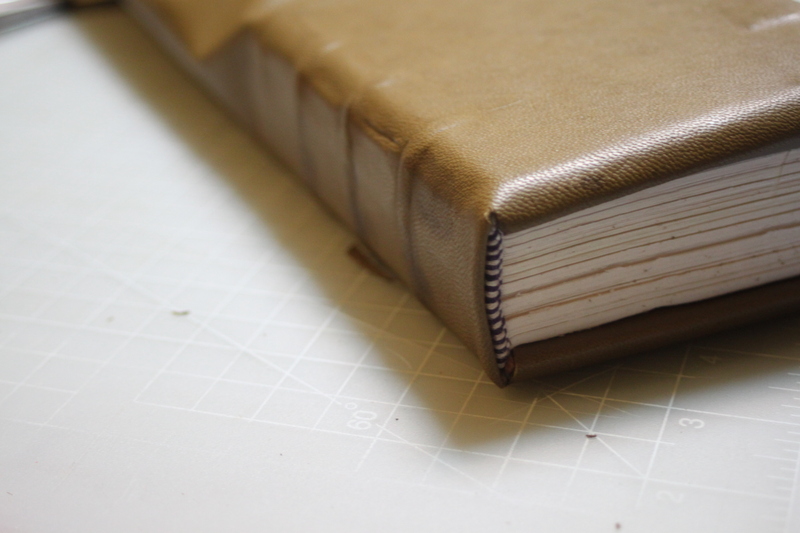 It’s hard doing these when I am also teaching workshops for beginners, but I read somewhere that even in period binders took 8 months to two years to finish bindings, so I think I’m doing pretty well. I will need more shell gold, though. That stuff goes quickly. I just really, really like music. With the exception of a lot of ballady R&B, most rap, and the harder end of metal (my tastes in the metal arena generally tend towards the prog end of the spectrum, although a good power ballad or rockin’ arena anthem are not ever something I’ll turn down, and I enjoy hip hop than straight-up rap), plus most of modern country music, I’m pretty okay with listening to most things. As in, I could have music going in the background of my entire life, and it bums me out that I don’t play a musical instrument better than I do. Or sing more proficiently. I think I probably fall into the analog group to art critics, which is to say that I’m the sort of person who consumes music and has deep thoughts about it, but isn’t really a creator in that way. My medium has always been visual, be it dance or les artes plastiques (to be totally pretentious, there’s not really an equivalent genre term in English that encompasses all the visual-type arts in such a nice way as that French term). I’ve been diving into modern Korean music (both indie and pop) and have come to the realization that I’m picking and choosing artists/songs much the same way as I do all the other music I listen to. I’m not into bro rock, but I do like Dave Matthews Band. I don’t really do country, but I like old-timey Western, especially if there’s a steel or slide guitar in the mix somewhere (actually, that rule applies to all music, because the steel and slide guitar are like strange aural magnets for me; I’m looking at you, Chris Isaac). Electronic sound turns my ear in a way that nothing else does. I like classical music, but not Baroque, opera, or a lot of Chinese, Korean, or Japanese traditional vocals. Oddly, South Asian classical vocal pieces are something I love, probably because much of that classical vocal tradition has been incorporated into modern Bollywood/South Asian pop music and, to some extent, South Asian indie music. See? Those who can’t make talk about things a lot and try to sound smart. I’m talking about what I like here, and am always open to listening to new things, even if I don’t end up listening to them a second time. I also really don’t like easy listening, much of the pop music of the 1990s (ugh) and the psychedelic/fuzz rock genre, which WH listens to all the time and really digs. We do not listen to music together terribly often, with the exception of Queen. Queen is, in our mutual opinion, the greatest musical group of all time ever. Better than the Beatles. Yeah. I said it. Freddie Mercury est mort. Vivre Freddie Mercury. Perhaps this is all because when I was growing up, music was a constant in our house. My parents have an old, reliable, and very good stereo system, which my dad later augmented with a few professional disc changers (like the sort they used to use in radio stations before everyone started transitioning to digital). They also had a pretty massive record collection, mostly consisting of classical and 1960s/1970s hippie music. My mom had her own private little collection of Native American protest groups, which I still really enjoy listening to (No Exit, anyone? Good stuff.). So there was a lot of encouragement from my parents to be a consumer of music. We went to the symphony once every couple of months, which then eventually became me going to shows pretty regularly in college. I can’t imagine music not being part of my life. O hai Big Bang. 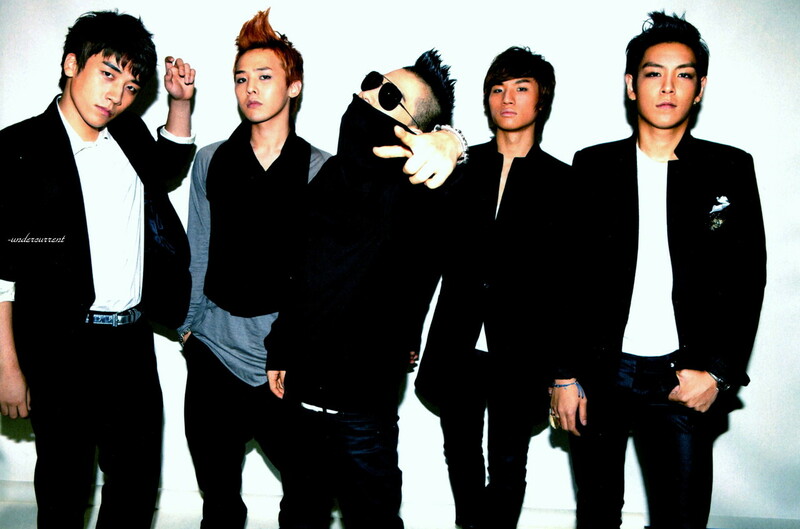 But I have to ask, Taeyang – what’s up with that turtleneck? Sneeeeaky. So when I was a younger-type person, boy bands were a big thing. All my friends were into New Kids on the Block, primarily Donnie, I think? Well, as you do, we all had our favorites. We liked their music (I still have a fondness for “The Right Stuff,” even if it transforms into Weird Al Yankovic’s “The White Stuff” whenever I try to remember how it sounds). We wore their merchandise. We had Trapper Keepers with their faces emblazoned on the covers. One of my friends even went to a concert! But I? Not I. I mean, I wanted to. I really did! The one album I owned was their Christmas special, given to me as a gift by a sympathetic aunt. But my parents are quintessential hippies/beatniks, and looked down their noses at that whole pop music/boy supergroup thing. By the time my cousin had gotten into her serious Backstreet Boys phase (and swore up and down that the Backstreet Boys were in every way superior to NSYNC), I had found the one boy group that my parents were ok with me listening to – the Beatles. Hooray for the Beatles, right? Their contribution to modern pop music is hugely significant, and while I poke fun at myself, the White Album is, in my opinion, one of the best albums of the modern era. The Beatles influence everybody, including Michael Jackson, who in turn influences everybody else. The one problem? I was 13 at the height of my Beatlemania, and while the music was a thing I was into, the Fab Four themselves were the ones I really swooned over. HOWEVER, as everybody knows, well, they’re not young men any more. In fact, by the time I discovered their existence, John had already been gone for over 10 years. Let’s take a fast-forward to 2012, as a strange and oddly amazing video makes its way around YouTube like Genghis Khan around Asia. I had heard about Psy’s Gangnam Style, and then didn’t watch the video. Finally I gave in, and saw this list of related videos on the sidebar. So I clicked. I like clicking links. You find great (and also awful) stuff clicking links. And that led to f(x), which led to 2NE1, which led to Big Bang, which led to a deep (and for WH, irritating) obsession with KPop. I was watching variety programs starring the members of Big Bang on YouTube the other night, and realized with a start that this is what it must have felt like to be a Monkees fan back when the Monkees were in their heyday. Or the Beatles. Or NKOTB. We really don’t have an equivalent in America right now, and I don’t recall our groups ever having been as phenomenally flashy as the K-Pop groups, but it’s still the same sort of thing. I’m kind of loving this feeling. I feel like I’m getting to live a little bit of my youth over again, a part of it that I missed the first go around. It’s on me if I indulge in some swanning over megagroups. And I really can’t wait to see what T.O.P. is doing in 5 or 10 years. I don’t know what the longevity of your average Korean idol group is, but that man has some serious potential, and I’m anxious to see what he does with it.